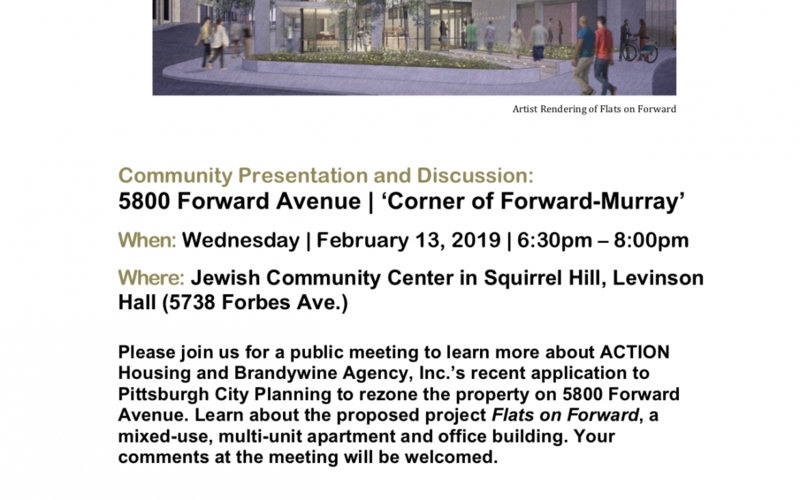 On Wednesday Feb 13th 6:30pm at the JCC in Squirrel Hill, please join us as we learn more about the new proposed project by Brandywine Agency Inc and ACTION Housing on 5800 Forward Avenue. The project requires rezoning for a multi-story apartment and office building including variances for height restrictions, setbacks, and parking. Public comments are welcome.